This DVD is a record of a birding holiday in Arizona taken in the period 24 July – 8 August. The trip was arranged by Birdfinders, who are based in Dorset. Tour leader was James P Smith, assisted by Vaughan Ashby. 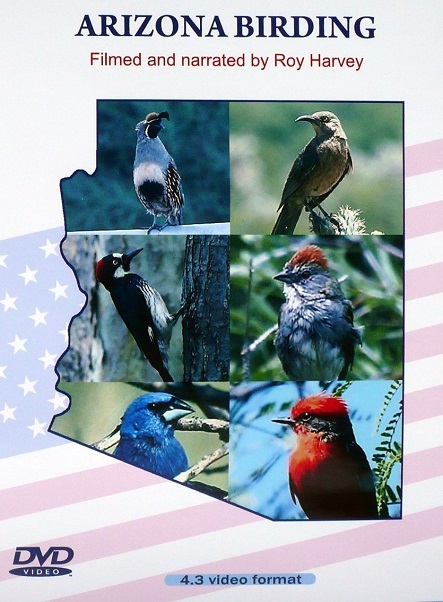 Arizona is one of the most exciting bird watching states in the USA. Bordering Mexico, many South American species occur there. In addition to the birds, Arizona is also an excellent place to see other flying creatures – butterflies, dragonflies and moths. The tour group recorded 249 bird species, plus 74 species of butterfly and 35 dragonflies. Part of the trip included a visits to the magnificent Grand Canyon, the Painted Desert and the Petrified Forest.